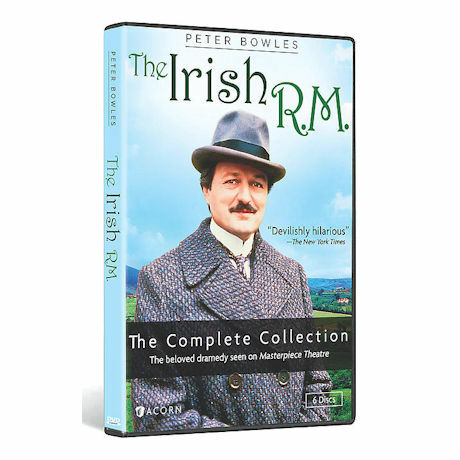 Peter Bowles (Rumpole of the Bailey) gives a wry, warm, and winning performance as Major Sinclair Yeates, a "fine gentleman from England" who arrives in turn-of-the-20th-century, pre-Independence Ireland to find he's a fish out of water. Filmed in Ireland, based on books by the Anglo-Irish novelists Somerville and Ross, this Masterpiece Theatre favorite first aired in the 1980s. 18 episodes, 15 3/4 hrs, 6 DVDs, SDH.